Burke Racing, Weaver Bruscemi and JJK Stables’ Foiled Again ($2.40, Yannick Gingras) made history Monday by becoming the oldest horse ever to win $1 milllion in a season, by capturing the $335,000 Bobby Quillen Memorial at Harrington Raceway in 1:51.3. Ksj Stables’ Perfect M Forever ($4, Ross Wolfenden) was a decisive winner Tuesday in the $18,600 Mares Open at Harrington Raceway in 1:55.1. Brian Callahan’s I Wanna Go Fast ($4.20, Corey Callahan) parlayed a perfect trip to victory in the featured $18,600 Open Pace Monday at Harrington Raceway in 1:54.2. Four $100,000 Delaware Standardbred Breeders Fund (DSBF) final events for 3-year-olds headlined the annual Governor’s Day card during the Delaware State Fair at Harrington Raceway Thursday. 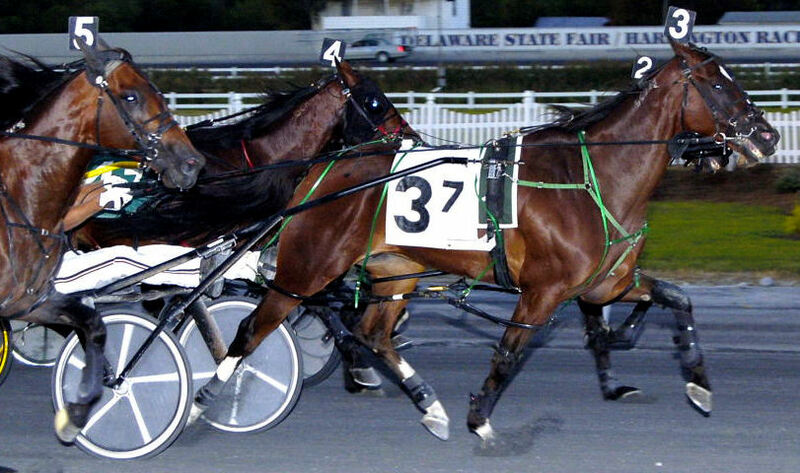 A showcase of Delaware’s top horses will take place Thursday July 28 at Harrington Raceway as $600,000 in purses will be up for grabs as part of the annual Governor’s Day program during the Delaware State Fair. 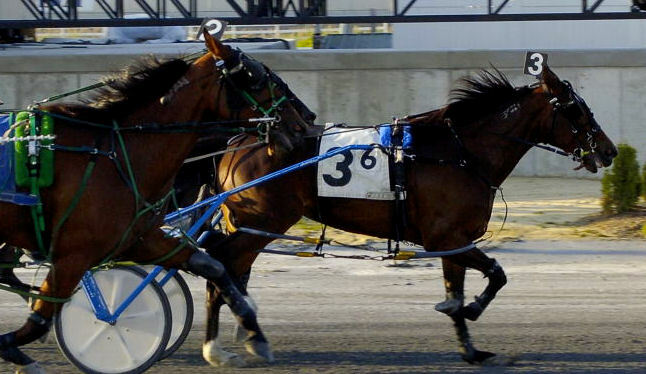 Nanticoke Racing and Jim Morand’s Tough Challenger ($2.80, Morand) won his third straight race Wednesday at Harrington Raceway in 1:55.4 in the featured $18,600 Open Trot. Allen Kaplan, Ira Kaplan and David Sheib’s Lorrie Please ($21.60, Tony Morgan) set a new track record for 4-year-old pacing mares Tuesday with a 1:52 clocking in the $18,600 Mares Open. 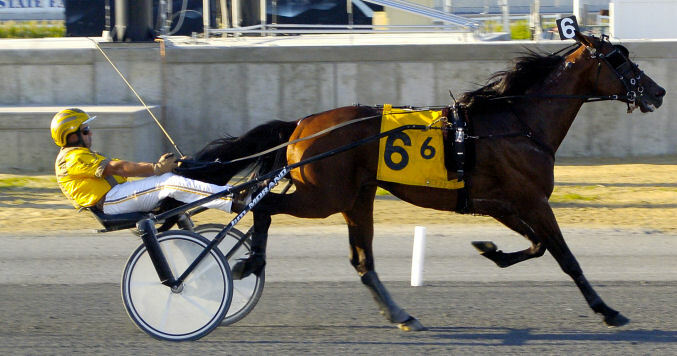 Andrea Hill’s Jeremy’s Successor ($7.20, Sean Bier) earned his fifth Harrington Raceway win in 2011 Monday with a 1:53.1 score in the featured $18,600 Open Pace. Badlands Racing, George Teague and GP Patel’s Three Martinis ($3.20, Montrell Teague) and Ben Stafford’s Lucky Land ($2.10, Ben Stafford Jr.) each won their respective $20,000 DSBF divisional eliminations Wednesday at Harrington Raceway. Ben Stafford and Winbak Farm’s Badlands Jenna ($2.40, Ben Stafford Jr.) and Joann Looney-King’s Sarah Barracuda ($68, Tony Morgan) won their respective $20,000 Delaware Standardbred Breeders Fund (DSBF) divisional eliminations for 3-year-old pacing fillies Tuesday at Harrington Raceway. Harrington Raceway will celebrate its 65th season of live harness racing Sunday April 17 with opening day of the scheduled 108-day meet. 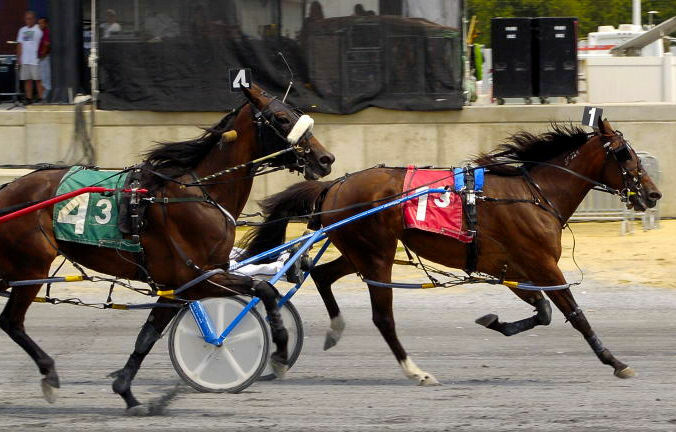 Live racing will get underway for the 65th consecutive year at Harrington Raceway on April 17. Join us for this commemorative night of racing, featuring a hat giveaway at 5 p.m. and 65-cent hot dogs.